I started reading the Ellie Haskell Mysteries with the first of the series, The Thin Woman, originally published in 1984 and named in in The Favorite Mystery Novels of the Twentieth Century list. It has remained one of my favorites as well, a perfect light read. I read the entire series, I had thought, but did not remember this one. 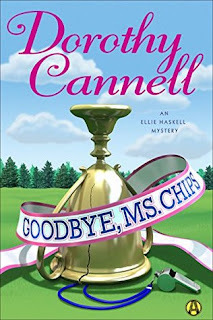 Ellie is now happily married to Ben Haskell, a successful chef and author, mother of three and an interior decorator. She doesn't remember her days at boarding school fondly but when her dear friend, Dorcas Critchley, asks for her help in recovering a stolen trophy cup, she can't refuse. Even though it means going back to St. Roberta's and confronting some of her own regrets. The school has established a cottage for "old girls" who want to retreat for awhile and recharge after life reversals. 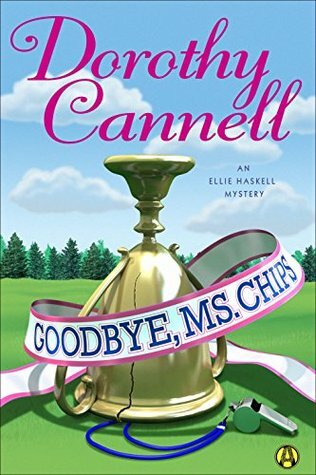 Ellie hasn't had any reversals but it's a perfect cover for her investigation, with the help of her redoubtable and flamboyant "housekeeper" and partner in sleuthing, Mrs. Malloy. By the time the thief is uncovered, a murder has occurred and it is clear that much more than just a prank is going on at St. Roberta's. Ellie has lost none of her humor in the years since The Thin Woman, and also none of her imaginative way of looking at things. I did, however, miss Ben, so I think a series re-reading may be in order. Thanks to Netgalley and Random House Alibi for this visit with old friends. Hopefully, others will discover the charming Ellie Haskell Mysteries.